Coaching/Front Office Moves: Fired coach Steve Wilks, OC Byron Leftwich, and DC Al Holcomb. Hired coach Kliff Kingsbury and DC Vance Joseph. 1/23/2019: Re-signed WR Larry Fitzgerald to a one-year, $11 million contract. 2/5/2019: Claimed LB Tanner Vallejo off waivers from the Browns. 2/7/2019: Signed CB Robert Alford to a three-year, $22.5 million contract. 2/9/2019: Signed DE Brooks Reed to a one-year, $1.625 million contract. 2/19/2019: Signed TE Charles Clay to a one-year, $2 million contract. 3/5/2019: Released LB Josh Bynes. 3/8/2019: Acquired RT Marcus Gilbert from the Steelers in exchange for a 2019 sixth-round pick. Released QB Mike Glennon and S Antoine Bethea. Re-signed RB D.J. Foster to a one-year, $720,000 contract. 3/11/2019: Released TE Jermaine Gresham. Signed OLB Terrell Suggs to a one-year contract. 3/12/2019: Signed LB Jordan Hicks to a four-year, $34 million contract. Signed LG J.R. Sweezy to a two-year contract. Signed QB Brett Hundley to a one-year, $1.875 million contract. 3/14/2019: Signed OG Max Garcia to an undisclosed contract. Signed WR Kevin White to an undisclosed contract. 3/18/2019: Signed DB Josh Shaw to a one-year, $895,000 contract. 3/21/2019: Signed DT Darius Philon to a two-year, $10 million contract. Coaching/Front Office Moves: Fired OC Steve Sarkisian and DC Marquand Manuel. Hired OC Dirk Koetter. 2/5/2019: Released CB Robert Alford. 2/6/2019: Declined K Matt Bryant's 2019 option. Released DE Brooks Reed. 2/11/2019: Re-signed LB Bruce Carter to a one-year, $930,000 contract. 2/13/2019: Re-signed DE Steven Means to a one-year, $805,000 contract. 2/19/2019: Re-signed RT Ty Sambrailo to a three-year, $14.25 million contract. 2/22/2019: Re-signed CB Blidi Wreh-Wilson to a one-year, $895,000 contract. 3/2/2019: Re-signed QB Matt Schaub to a two-year, $3.78 million contract. 3/4/2019: Assigned the franchise tag to DT Grady Jarrett. 3/12/2019: Signed RG Jamon Brown to a three-year, $18.75 million contract. Signed LG James Carpenter to a four-year contract. 3/13/2019: Released RT Ryan Schraeder. 3/14/2019: Signed TE Luke Stocker to a two-year, $5.5 million contract. Signed RB Kenjon Barner to a one-year, $895,000 contract. 3/16/2019: Re-signed TE Logan Paulsen to a one-year, $1.02 million contract. 3/21/2019: Re-signed WR Justin Hardy to a one-year contract. Coaching/Front Office Moves: GM Ozzie Newsome retired. Fired OC Marty Mornhinweg. Signed coach John Harbaugh to a three-year extension through 2022. Promoted assistant GM Eric DeCosta to GM and TEs coach Greg Roman to OC. 2/13/2019: Acquired a 2019 fourth-round pick from the Broncos in exchange for QB Joe Flacco. 2/21/2019: Signed CB Tavon Young to a three-year, $25.8 million extension through 2022. 2/25/2019: Released WR Michael Crabtree. 3/1/2019: Waived RB Alex Collins. 3/5/2019: Released S Eric Weddle. 3/7/2019: Re-signed TE Nick Boyle to a three-year, $18 million contract. 3/13/2019: Signed RB Mark Ingram to a three-year, $15 million contract. Signed FS Earl Thomas to a four-year, $55 million contract. 3/15/2019: Signed CB Justin Bethel to an undisclosed contract. 3/21/2019: Re-signed QB Robert Griffin III to a two-year contract. 12/31/2018: DT Kyle Williams announced his retirement. Re-signed QB Derek Anderson to a one-year, $1.12 million contract. 1/16/2019: Re-signed LB Lorenzo Alexander to a one-year, $3.75 million contract. Re-signed OL Jeremiah Sirles to a one-year, $805,000 contract. 1/28/2019: Re-signed LS Reid Ferguson to a three-year, $2.745 million contract. 2/12/2019: Signed G/C Spencer Long to a three-year, $12.6 million contract. Re-signed CB Lafayette Pitts to a one-year, $720,000 contract. 2/15/2019: Released TE Charles Clay. 2/21/2019: Re-signed LB Deon Lacey to a one-year, $645,000 contract. 3/4/2019: Re-signed DT Jordan Phillips to a one-year, $4.5 million contract. 3/11/2019: Signed RB Frank Gore to a one-year contract. Signed CB Kevin Johnson to an undisclosed contract. Signed TE Tyler Kroft to a three-year, $18.75 million contract. Signed C Mitch Morse to a four-year, $44.5 million contract. 3/12/2019: Signed OT Ty Nsekhe to a two-year, $10 million contract. Signed WR Cole Beasley to a four-year, $29 million contract. Signed WR John Brown to a three-year, $27 million contract. Signed G/T Jon Feliciano to a two-year, $7.25 million contract. 3/13/2019: Signed WR Andre Roberts to a two-year, $4.6 million contract. 3/16/2019: Signed OT LaAdrian Waddle to a one-year, $2 million contract. 3/22/2019: Signed S Maurice Alexander, formerly of the Seahawks, to a one-year, $1.375 million contract. 3/23/2019: Signed TE Jake Fisher, formerly of the Bengals, to a one-year contract. 12/31/2019: C Ryan Kalil announced his retirement. 1/29/2019: Re-signed TE Chris Manhertz to a two-year contract. 2/1/2019: DE Julius Peppers announced his retirement. 2/11/2019: Re-signed S Eric Reid to a three-year, $22.05 million contract. Released LB Ben Jacobs. 2/21/2019: Re-signed S Damian Parms to a one-year, $495,000 contract. 2/25/2019: Released CB Captain Munnerlyn. Re-signed RB Elijah Hood to a one-year contract. 3/2/2019: Re-signed LB Jared Norris to a two-year, $1.69 million contract. 3/11/2019: Re-signed S Colin Jones to a two-year, $2.6 million contract. 3/12/2019: Signed C Matt Paradis to a three-year, $27.03 million contract. Re-signed QB Taylor Heinicke to an undisclosed contract. 3/13/2019: Re-signed RT Daryl Williams to a one-year contract. 3/14/2019: Released LT Matt Kalil. 3/19/2019: Signed DE Bruce Irvin to a one-year contract. Coaching/Front Office Moves: Relieved DC Vic Fangio. Hired DC Chuck Pagano. 1/26/2019: Re-signed RT Bobby Massie to a four-year, $32 million contract. 2/20/2019: Released TE Dion Sims. 2/22/2019: Released K Cody Parkey. 3/5/2019: Released OLB Sam Acho. 3/11/2019: Re-signed TE Ben Braunecker to a two-year, $2.7 million contract. Signed CB Buster Skrine to a three-year, $16.5 million contract. Signed RB Mike Davis to a two-year contract. 3/12/2019: Signed WR Cordarrelle Patterson to a two-year, $10 million contract. 3/13/2019: Signed G/C Ted Larsen to a one-year, $1.02 million contract. 3/14/2019: Signed S Ha Ha Clinton-Dix to a one-year, $3 million contract. 3/15/2019: Signed WR Marvin Hall to an undisclosed contract. 3/18/2019: Re-signed P Pat O'Donnell to a two-year contract. 3/20/2019: Re-signed QB Tyler Bray to a one-year contract. Coaching/Front Office Moves: Fired coach Marvin Lewis and OC Bill Lazor. Hired coach Zac Taylor, OC Brian Callahan, and DC Lou Anarumo. 3/11/2019: Re-signed RT Bobby Hart to a three-year, $16.15 million contract. Re-signed TE C.J. Uzomah to a three-year contract. 3/12/2019: Re-signed LB Preston Brown to a three-year, $16.5 million contract. 3/14/2019: Signed CB B.W. Webb to a three-year, $10.5 million contract. 3/15/2019: Signed RG John Miller to a three-year, $17.1 million contract. 3/16/2019: Re-signed TE Tyler Eifert to a one-year, $4 million contract. 3/18/2019: Released LB Vontaze Burfict. 3/21/2019: Re-signed CB Darqueze Dennard to an undisclosed contract. Coaching/Front Office Moves: Fired coach Gregg Williams. Promoted OC Freddie Kitchens to head coach. Hired OC Todd Monken and DC Steve Wilks. 2/4/2019: Waived LB Tanner Vallejo. 2/11/2019: Signed RB Kareem Hunt to a one-year, $1.1 million contract. 2/25/2019: Re-signed LT Greg Robinson to a one-year, $7 million contract. 3/6/2019: Released LB Jamie Collins. 3/8/2019: Acquired DE Olivier Vernon from the Giants in exchange for RG Kevin Zeitler. 3/10/2019: Released TE Darren Fells. 3/12/2019: Acquired WR Odell Beckham from the Giants in exchange for S Jabrill Peppers and 2019 first- and third-round picks. Signed DT Sheldon Richardson to a three-year contract. Re-signed DT Carl Davis to a one-year, $2 million contract. Re-signed LB Ray-Ray Armstrong to a one-year, $1.55 million contract. 3/13/2019: Signed TE Demetrius Harris to a two-year, $6 million contract. Signed LB Adarius Taylor to a two-year, $5 million contract. 3/14/2019: Signed G/C Eric Kush to a two-year, $3.75 million contract. 3/15/2019: NFL suspended RB Kareem Hunt eight games for violating the league's personal-conduct policy. Re-signed CB Phillip Gaines to a one-year contract. Signed OT Kendall Lamm to a two-year, $4.5 million contract. 3/22/2019: Signed OG Bryan Witzmann to an undisclosed contract. Coaching/Front Office Moves: Fired OC Scott Linehan. Promoted QBs coach Kellen Moore to OC. 2/18/2019: Released WR Terrance Williams. 2/26/2019: NFL suspended DE Randy Gregory indefinitely for violating the league's substance-abuse policy. 2/28/2019: Re-signed TE Jason Witten to a one-year, $4.25 million contract. 3/1/2019: NFL suspended DL David Irving indefinitely for violating the league's substance-abuse policy. 3/4/2019: Assigned the franchise tag to DE DeMarcus Lawrence. 3/7/2019: Re-signed S Darian Thompson to a one-year contract. Re-signed LB Justin March-Lillard to an undisclosed contract. 3/8/2019: Re-signed DT Daniel Ross to a one-year, $645,000 contract. 3/13/2019: Re-signed FB Jamize Olawale to a three-year, $5.4 million contract. Re-signed OT Cameron Fleming to a two-year, $7.5 million contract. 3/14/2019: Re-signed WR Tavon Austin to a one-year contract. Signed DT Christian Covington to a one-year, $1.75 million contract. 3/18/2019: Signed DE Kerry Hyder to an undisclosed contract. 3/19/2019: Signed WR Randall Cobb to a one-year contract. Re-signed LS L.P. Ladouceur to a one-year, $1.105 million contract. Coaching/Front Office Moves: Fired coach Vance Joseph, OC Bill Musgrave, and DC Joe Woods. Hired coach Vic Fangio, OC Rich Scangarello, and DC Ed Donatell. 1/23/2019: Released WR Andre Holmes. 2/13/2019: Acquired QB Joe Flacco from the Ravens in exchange for a 2019 fourth-round pick. 3/6/2019: Released S Darian Stewart. 3/7/2019: Acquired a 2020 sixth-round pick from the Redskins in exchange for QB Case Keenum and a 2020 seventh-round pick. Re-signed LS Casey Kreiter to a one-year, $1 million contract. Re-signed OT Elijah Wilkinson to a one-year, $645,000 contract. Re-signed WR Tim Patrick to a one-year, $570,000 contract. 3/11/2019: Declined LB Brandon Marshall's 2019 option. Signed RT Ja'Wuan James to a four-year, $51 million contract. Signed DB Kareem Jackson to a three-year, $33 million contract. 3/15/2019: Signed CB Bryce Callahan to a three-year contract. Re-signed TE Jeff Heuerman to a two-year contract. 3/16/2019: Re-signed DT Zach Kerr to a two-year contract. 3/21/2019: Re-signed QB Kevin Hogan to an undisclosed contract. Coaching/Front Office Moves: Fired OC Jim Bob Cooter. Hired OC Darrell Bevell. 2/11/2019: Re-signed LB Steve Longa to a one-year, $645,000 contract. Re-signed DE Mitchell Loewen to a one-year, $570,000 contract. 2/13/2019: Re-signed LS Don Muhlbach to a one-year, $1.12 million contract. 2/15/2019: Released S Glover Quin and WR Bruce Ellington. 3/1/2019: Re-signed DE Romeo Okwara to a three-year, $6.8 million contract. 3/8/2019: Released RG T.J. Lang. 3/11/2019: Signed DE Trey Flowers to a five-year, $90 million contract. Signed CB Justin Coleman to a four-year, $36 million contract. Signed TE Jesse James to a five-year, $22.6 million contract. Signed WR Danny Amendola to a one-year, $4.5 million contract. Waived LB Trevor Bates. 3/12/2019: Re-signed RB Zach Zenner to an undisclosed contract. Signed OG Oday Aboushi to a one-year contract. 3/14/2019: Signed S Andrew Adams to an undisclosed contract. 3/16/2019: Re-signed CB Marcus Cooper to a one-year contract. 3/19/2019: Signed WR Tommylee Lewis to an undisclosed contract. 3/21/2019: Signed TE Logan Thomas to an undisclosed contract. 3/23/2019: Signed CB Rashaan Melvin to a one-year, $3.5 million contract. Coaching/Front Office Moves: Fired interim coach Joe Philbin. Hired coach Matt LaFleur and OC Nathaniel Hackett. 3/7/2019: Re-signed OG Justin McCray to a one-year, $645,000 contract. 3/8/2019: Waived LB Antonio Morrison. 3/12/2019: Signed OLB Preston Smith to a four-year, $52 million contract. Signed S Adrian Amos to a four-year, $36 million contract. Signed OLB Za'Darius Smith to a four-year, $66 million contract. Released OLB Nick Perry. Signed RG Billy Turner to a four-year, $28 million contract. 3/13/2019: Re-signed TE Marcedes Lewis to a one-year contract. 3/15/2019: Re-signed WR Geronimo Allison to a one-year contract. Coaching/Front Office Moves: Promoted TEs coach Tim Kelly to OC. 1/19/2019: Re-signed RT Seantrel Henderson to a one-year, $4.5 million contract. 2/12/2019: Released WR Demaryius Thomas. 3/4/2019: Assigned the franchise tag to DE Jadeveon Clowney. 3/5/2019: Released CB Kevin Johnson. 3/11/2019: Re-signed DT Angelo Blackson to a three-year, $12 million contract. Re-signed WR DeAndre Carter to a one-year, $570,000 contract. Re-signed DT Joel Heath to a one-year contract. 3/12/2019: Signed S Tashaun Gipson to a three-year, $22.55 million contract. Signed CB Bradley Roby to a one-year contract. 3/15/2019: Signed CB Briean Boddy-Calhoun to a one-year contract. 3/18/2019: Signed TE Darren Fells to a one-year contract. 3/19/2019: Signed QB A.J. McCarron to an undisclosed contract. 3/21/2019: Re-signed QB Joe Webb to a one-year contract. 3/22/2019: Signed OT Matt Kalil to a one-year contract. 1/25/2019: Re-signed K Adam Vinatieri to a one-year, $3.875 million contract. 1/29/2019: Re-signed RG Mark Glowinski to a three-year, $16.2 million contract. 2/6/2019: OG Matt Slauson announced his retirement. 2/26/2019: Re-signed TE Ross Travis to a one-year, $720,000 contract. 3/5/2019: Re-signed DE Margus Hunt to a two-year, $9 million contract. 3/11/2019: Signed WR Devin Funchess to a one-year contract. 3/12/2019: Re-signed CB Chris Milton to a one-year, $1.5 million contract. 3/13/2019: Re-signed CB Pierre Desir to a three-year contract. 3/20/2019: Re-signed S Clayton Geathers to an undisclosed contract. 3/21/2019: Signed DE Justin Houston to a two-year contract. Coaching/Front Office Moves: Hired OC John DeFilippo. 1/19/2019: Re-signed S Jarrod Wilson to a three-year, $7.25 million contract. 1/24/2019: Declined TE Austin Seferian-Jenkins's 2019 option. 2/13/2019: Re-signed K Josh Lambo to a four-year, $15.5 million contract. 2/19/2019: Released K Kai Forbath. 3/7/2019: Re-signed LS Matt Overton to a one-year, $955,000 contract. 3/8/2019: Released RB Carlos Hyde, FS Tashaun Gipson, DT Malik Jackson, RT Jermey Parnell, and LS Carson Tinker. 3/11/2019: Signed QB Nick Foles to a four-year contract. Released QB Blake Bortles. 3/13/2019: Re-signed RG A.J. Cann to a three-year contract. 3/15/2019: Signed TE Geoff Swaim to an undisclosed contract. 3/16/2019: Signed OT Cedric Ogbuehi to an undisclosed contract. Signed WR Chris Conley to an undisclosed contract. Signed LB Jake Ryan to an undisclosed contract. 3/21/2019: Re-signed TE James O'Shaughnessy to an undisclosed contract. Coaching/Front Office Moves: Fired DC Bob Sutton. Hired DC Steve Spagnuolo. 3/2/2019: Assigned the franchise tag to OLB Dee Ford. 3/9/2019: Signed RB Carlos Hyde to a one-year contract. 3/10/2019: Released OLB Justin Houston. 3/11/2019: Signed S Tyrann Mathieu to a three-year contract. 3/12/2019: Acquired a 2020 second-round pick from the 49ers in exchange for OLB Dee Ford. Signed LB Damien Wilson to a one-year contract. 3/13/2019: Released S Eric Berry. 3/14/2019: Signed DE Alex Okafor to a three-year contract. 3/18/2019: Signed CB Bashaud Breeland to a one-year contract. 2/13/2019: Declined DT Corey Liuget's 2019 option. 2/15/2019: Re-signed CB Jaylen Watkins to a one-year, $895,000 contract. 2/20/2019: Re-signed WR Artavis Scott to a one-year, $495,000 contract. 3/8/2019: Re-signed LB Denzel Perryman to a two-year, $12.05 million contract. 3/9/2019: Released S Jahleel Addae. 3/12/2019: Signed LB Thomas Davis to a two-year, $10.5 million contract. 3/13/2019: Signed QB Tyrod Taylor to a two-year contract. Re-signed DT Brandon Mebane to a two-year contract. 3/15/2019: Re-signed S Adrian Phillips to a one-year contract. 3/19/2019: Re-signed WR Geremy Davis to a one-year contract. 3/5/2019: Declined C John Sullivan's 2019 option. Released ILB Mark Barron. 3/8/2019: Signed S Eric Weddle to a two-year, $10.502 million contract. 3/10/2019: Re-signed OLB Dante Fowler to a one-year, $12 million contract. 3/18/2019: Signed QB Blake Bortles to a one-year contract. 3/19/2019: Signed OLB Clay Matthews to a two-year contract. 3/22/2019: Re-signed RB Malcolm Brown to a two-year contract. Coaching/Front Office Moves: Fired EVP Mike Tannenbaum, coach Adam Gase, OC Dowell Loggains, and DC Matt Burke. Hired coach Brian Flores, OC Chad O'Shea, and DC Patrick Graham. 2/8/2019: Re-signed LS John Denney to a one-year, $1.12 million contract. 3/2/2019: Released DE Andre Branch. 3/7/2019: Released LG Ted Larsen. 3/8/2019: Released WR Danny Amendola. 3/9/2019: Signed TE Dwayne Allen to a two-year, $6.5 million contract. 3/12/2019: Signed WR DeVante Parker to a one-year extension through 2020. Signed CB Eric Rowe to a one-year, $3.5 million contract. 3/13/2019: Signed TE Clive Walford to a one-year contract. Released LG Josh Sitton. 3/15/2019: Acquired a 2020 fourth-round pick and 2019 seventh-round pick from the Titans in exchange for QB Ryan Tannehill and a 2019 sixth-round pick. 3/17/2019: Signed QB Ryan Fitzpatrick to a two-year contract. 3/18/2019: Signed OG Chris Reed to an undisclosed contract. 3/21/2019: Re-signed LB Mike Hull to a one-year contract. Coaching/Front Office Moves: Promoted QBs coach Kevin Stefanski to OC. 3/5/2019: Re-signed FB C.J. Ham to a one-year, $645,000 contract. Re-signed P Matt Wile to a one-year, $645,000 contract. 3/11/2019: Released RG Mike Remmers. Declined S Andrew Sendejo's 2019 option. Signed DT Shamar Stephen to a three-year, $12.45 million contract. 3/12/2019: Re-signed LB Anthony Barr to a five-year, $67.5 million contract. 3/18/2019: Re-signed RB Ameer Abdullah to an undisclosed contract. 3/19/2019: Re-signed K Dan Bailey to a one-year contract. 3/20/2019: Signed RG Josh Kline to a three-year contract. 2/13/2019: Re-signed G/C Brian Schwenke to a one-year, $895,000 contract. 3/2/2019: Released TE Dwayne Allen. 3/8/2019: Acquired DE Michael Bennett and a 2020 seventh-round pick from the Eagles in exchange for a 2020 fifth-round pick. 3/13/2019: Re-signed DE John Simon to an undisclosed contract. Signed RB Brandon Bolden to a two-year contract. Re-signed CB Jason McCourty to a two-year contract. Re-signed WR Phillip Dorsett to a one-year contract. 3/14/2019: Signed DT Mike Pennel to an undisclosed contract. Signed TE Matt LaCosse to an undisclosed contract. Signed WR Maurice Harris to a one-year contract. Signed S Terrence Brooks to a two-year contract. Signed WR Bruce Ellington to a one-year contract. 3/15/2019: Released DE Adrian Clayborn. 3/19/2019: Re-signed P Ryan Allen to a one-year contract. 2/11/2019: Re-signed CB Justin Hardee to a one-year, $645,000 contract. Re-signed G/C Cameron Tom to a one-year, $645,000 contract. Re-signed LB Vince Biegel to a one-year, $645,000 contract. Re-signed LS Zach Wood to a one-year, $645,000 contract. 2/19/2019: Re-signed OT Michael Ola to a one-year, $805,000 contract. 2/21/2019: Released S Kurt Coleman. 3/6/2019: Waived RB Daniel Lasco. 3/9/2019: Re-signed S Chris Banjo to a three-year, $6.9 million contract. 3/11/2019: Re-signed LB Craig Robertson to a two-year contract. 3/12/2019: Re-signed QB Teddy Bridgewater to a one-year contract. Signed RB Latavius Murray to a four-year, $14.4 million contract. 3/13/2019: Re-signed K Wil Lutz to a five-year contract. 3/15/2019: Signed DE Mario Edwards to a two-year contract. 3/16/2019: C Max Unger announced his retirement. 3/17/2019: Signed G/C Nick Easton to a four-year contract. 3/21/2019: Signed TE Jared Cook to an undisclosed contract. Signed CB Marcus Sherels to a one-year contract. 1/29/2019: Released OLB Connor Barwin. 2/6/2019: Declined RB Jonathan Stewart's 2019 option. 2/19/2019: Re-signed TE Scott Simonson to a one-year, $895,000 contract. 3/4/2019: Re-signed QB Alex Tanney to a two-year, $2.15 million contract. 3/7/2019: Re-signed K Aldrick Rosas to a one-year, $645,000 contract. Re-signed C Jon Halapio to a one-year, $570,000 contract. 3/8/2019: Acquired RG Kevin Zeitler from the Browns in exchange for DE Olivier Vernon. 3/11/2019: Re-signed C Spencer Pulley to a three-year contract. 3/12/2019: Acquired S Jabrill Peppers and 2019 first- and third-round picks from the Browns in exchange for WR Odell Beckham. Signed S Antoine Bethea to a two-year contract. Re-signed LS Zak DeOssie to a one-year contract. 3/14/2019: Signed WR Golden Tate to a four-year contract. Signed OLB Markus Golden to a one-year contract. Re-signed CB Tony Lippett to a one-year contract. Re-signed DB Antonio Hamilton to a one-year contract. 3/15/2019: Signed DT Olsen Pierre to an undisclosed contract. 3/17/2019: Re-signed WR Cody Latimer to an undisclosed contract. 3/19/2019: Re-signed WR Bennie Fowler to an undisclosed contract. 3/20/2019: Re-signed LB Nathan Stupar to an undisclosed contract. Coaching/Front Office Moves: Fired coach Todd Bowles, OC Jeremy Bates, and DC Kacy Rodgers. Hired coach Adam Gase, OC Dowell Loggains, and DC Gregg Williams. 2/5/2019: Released G/C Spencer Long. 2/19/2019: Released S Terrence Brooks, LB Kevin Pierre-Louis, and DT Mike Pennel. 3/4/2019: Re-signed RB De'Angelo Henderson to a one-year, $645,000 contract. 3/7/2019: Re-signed QB Davis Webb to a one-year, $645,000 contract. Re-signed WR Deontay Burnett to a one-year, $570,000 contract. Re-signed OG Ben Braden to a one-year, $570,000 contract. Re-signed DE Bronson Kaufusi to a one-year, $645,000 contract. Re-signed LB Frankie Luvu to a one-year, $570,000 contract. Re-signed LB Anthony Wint to a one-year, $570,000 contract. Re-signed CB Jeremy Clark to a one-year, $645,000 contract. Re-signed S Doug Middleton to a on-year, $570,000 contract. 3/9/2019: Re-signed C Jonotthan Harrison to an undisclosed contract. 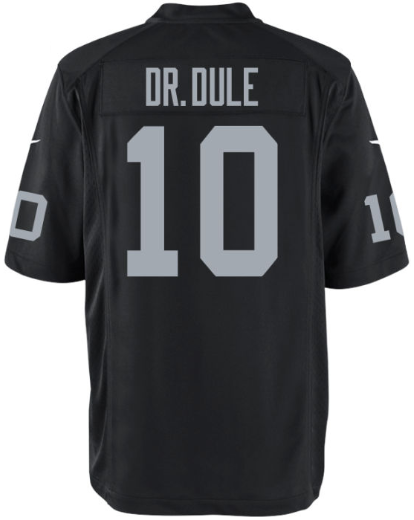 3/10/2019: Acquired LG Kelechi Osemele and a 2019 sixth-round pick from the Raiders in exchange for a 2019 fifth-round pick. 3/11/2019: Signed WR Jamison Crowder to a three-year contract. Re-signed DB Darryl Roberts to an undisclosed contract. Signed WR Josh Bellamy to a two-year, $5 million contract. 3/12/2019: Signed RB Le'Veon Bell to a four-year, $52.5 million contract. Signed ILB C.J. Mosley to a five-year contract. Re-signed DT Henry Anderson to a three-year contract. 3/14/2019: Released RB Isaiah Crowell. Re-signed NT Steve McLendon to an undisclosed contract. Signed CB Brian Poole to a one-year contract. 3/15/2019: Signed K Chandler Catanzaro to an undisclosed contract. 3/18/2019: Signed TE Daniel Brown to an undisclosed contract. Re-signed LB Neville Hewitt to an undisclosed contract. Signed G/T Tom Compton to an undisclosed contract. 3/19/2019: Re-signed OT Brent Qvale to an undisclosed contract. Re-signed TE Eric Tomlinson to an undisclosed contract. 3/20/2019: Signed QB Trevor Siemian to a one-year contract. Coaching/Front Office Moves: Hired GM Mike Mayock. 3/2/2019: Re-signed OT Denzelle Good to a one-year, $1.8 million contract. 3/7/2019: Re-signed K Daniel Carlson to a one-year, $570,000 contract. Re-signed LB Jason Cabinda to a one-year, $570,000 contract. 3/8/2019: Re-signed S Erik Harris to a two-year, $5 million contract. 3/9/2019: Acquired WR Antonio Brown from the Steelers in exchange for 2019 third- and fifth-round picks. Signed WR Antonio Brown to a three-year, $50.125 million contract. 3/10/2019: Acquired a 2019 fifth-round pick from the Jets in exchange for LG Kelechi Osemele and a 2019 sixth-round pick. Re-signed DT Johnathan Hankins to a two-year, $8.5 million contract. 3/11/2019: Signed LT Trent Brown to a four-year, $66 million contract. Signed S Lamarcus Joyner to a four-year, $42 million contract. 3/13/2019: Signed WR Tyrell Williams to a four-year contract. 3/14/2019: Released WR Jordy Nelson and QB A.J. McCarron. 3/15/2019: Signed WR J.J Nelson to an undisclosed contract. Re-signed OT Chaz Green to an undisclosed contract. Re-signed DT Josh Mauro to a one-year contract. 3/16/2019: Released OT Donald Penn. 3/18/2019: Re-signed WR Dwayne Harris to an undisclosed contract. 3/19/2019: Signed LB Vontaze Burfict to a one-year contract. 3/21/2019: Signed OG Jordan Devey to an undisclosed contract. Signed CB Nevin Lawson to a one-year contract. 3/22/2019: Signed S Curtis Riley to an undisclosed contract. 3/23/2019: Signed QB Mike Glennon. to an undisclosed contract.